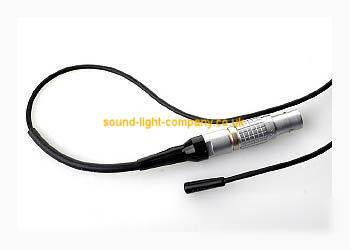 Lapel Microphone, High Quality with 12dB pad attenuator. Colour: BLACK. Connector type: JACK Plug. The SJ-212 high quality lavalier microphone has been designed with the professional in mind. Its sub-miniature construction, together with its durable microphone clip makes it an ideal partner for all area of live work. It can be used either as a microphone for instrument pick-up or for delivering highly intelligible speech or vocals. The extremely low profile of the SJ-212 enables this microphone to be used in places where others have failed due to their more obtrusive size. With an exceptionally low physical profile, it can withstand the penetration of moisture and make-up, and has the same membrane construction as its sister product the SJ212. Whether used in the hair, on the face or as a body worn lavalier, this microphone will withstand the everyday rigours of production.